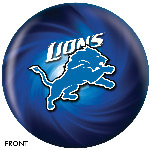 Take your favorite team with you to the lanes with officially licensed team logo bowling balls from the NFL, NCAA, MLB, NBA and NHL! Available in weights from 6lbs. to 16 lbs. Click here to find your Team! 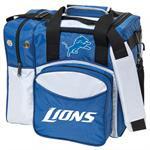 Protect your bowling ball and show your team pride with an officially licensed bowling bag from KR Strikeforce! Available for the NFL® and NHL®. Click here to find your Team! 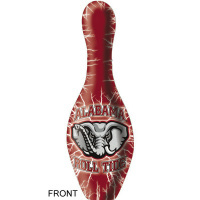 Show some real team pride with an officially licensed Team Logo Bowling Pin! Click now to find your team!